Find Green Valley Ranch, NV Homes for sale. View Photos, Maps and MLS Data Now! 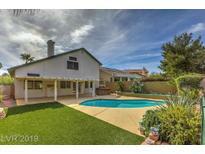 Clearwater Canyon - Backyard w/ covered patio, pool, spa with putting green. New exterior paint. MLS#2087775. Investors Realty Group. 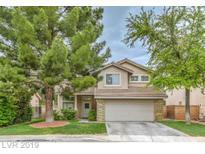 Green Valley Ranch - Lots of open space, 3 car tandem garage, stainless appliances, granite countertops and more. MLS#2087073. Wardley Real Estate. Green Valley Ranch - The home sits in a gated Green Valley community and is nearby shopping and excellent restaurants. MLS#2086709. Urban Nest Realty. Lovely 2 Story in Beautiful Green Valley Ranch * Location Location Location * Appliances * Great Floorplan * Buyer / Agent to verify schools and dimensions * Thank you for showing MLS#2087288. Atlas Group. New Pool Pump and 2015 A/C unit with existing warranty. MLS#2086791. Signature Real Estate Group. Green Valley Ranch - Don't forget to check out the landscaping - RESORT STYLE BACK YARD! MLS#2086329. TMI Realty. Green Valley Ranch - Please Call/ Text Cary 702-595-7556 Prior to showing**Green Valley**NO HOA**Great Starter home, Corner lot**Extra Wide Driveway, Room for Boat or RV*RV PARKING with Gate*Pool Size Lot**Open Living Area and Wood Blinds**Newer fixtures & Ceiling Fans** MLS#2084371. Keller Williams Market Place. Quiet, Very well Maintained Home. Fast seller response. MLS#2084066. Key Realty. Laundry Room W/Storage Cabinets. Refrigerator, Washer & Dryer Included. MLS#2084171. Keller Williams Market Place. Walking trails and Paseo Verde park right outside gate. MLS#2084693. Five Star Realty. Green Valley Ranch - Centrally located in Green Valley and zoned for good schools...3 bedrooms..2 bathrooms..Living room with fireplace...Pool sized backyard..A/C replaced in June 2017. MLS#2083851. BHHS Nevada Properties. Green Valley Ranch - Community has direct access to Bob Miller MS! MLS#2083579. Wardley Real Estate. Green Valley Ranch - The master suite has a full bath & balcony that boasts a beautiful view of the city, strip & mountains. MLS#2080398. Coldwell Banker Premier. This home is ready for your Summer pool parties. MLS#2083197. Simply Vegas. Covered Patio, master bedroom has private balcony overlooking park. MLS#2081324. BHHS Nevada Properties. 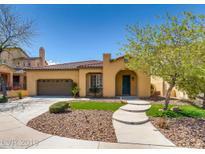 Green Valley Ranch - Backyard is FABULOUS- covered patio, artificial grass, brick pavers, POOL & SPA! Just in time for summer! MLS#2082449. Keller Williams Realty SW.
Green Valley Ranch - Tile, Hardwood & carpet flooring, Spacious Master Suite w/Sitting Area & Private Office. MLS#2081318. Fast Lane Realty. Breathtaking resort styled home with a modern Tuscan feel-A flawless mixture of fine custom elements & upscale finishes noticed upon entering.Home has over $300k in upgrades & remodeling.Backyard paradise w/full sized pebble tech spa, pool,built in BBQ,alumawood covered patios & synthetic turf.No comparable home in the area!Coveted Green Valley Ranch-Excellent schools, near shopping/dining,The District,recreation/parks,trails & close to I215 hwy. 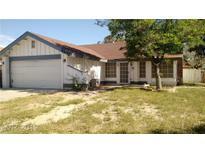 MLS#2079758. Coldwell Banker Premier. Green Valley Ranch - Wood blinds, two tone paint, tile flooring, upgraded baseboards adds a finishing touch to this beautiful home. MLS#2081141. Signature Real Estate Group.